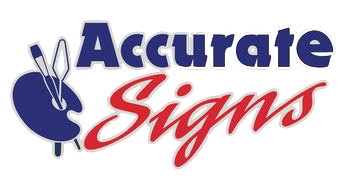 Accurate Signs has supported the Mesquite Rotary Bike Ride each year since it started in 1995. In 2005 Frank was the chairman of the race. It is held on the first Saturday in June each year and it is a fundraiser that supports the local community as well as worthy national and international charities. The club has provided scholarships to deserving students from Mesquite ISD high schools, Dallas Christian School, and Eastfield College students. 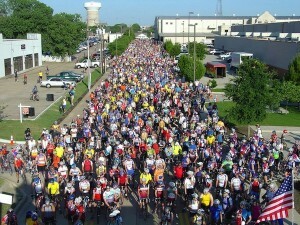 The start of the Mesquite Rotary Bike Ride. The club has donated funds to support area institutions such as Mesquite Social Services, Meadowview School, the Mission East Dallas Health Clinic, the Mesquite Public Health Clinic, the Mesquite Police and Fire Departments, the Mesquite Public Library, Mesquite Youth Services, the Boy Scouts, the Mesquite “Red Ribbon Day” youth substance abuse awareness and prevention program, Equest, Mesquite Parks and Recreation, the annual charitable “Dentists with a Heart Day” and more. As a special Rotary Centennial project, the club donated $50,000 in 2005 to expand the installation of equipment designed for physically challenged children at the City of Mesquite’s “Discovery Playground” at City Lake Park. In 2010, the club donated $24,500 to Historic Mesquite, Inc. and Keep Mesquite Beautiful to fund the reconstruction of the Webb-Crownover Log Cabin, to be used at the head of the new educational nature trail at the Opal Lawrence Historical Park in Mesquite.